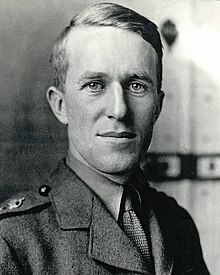 Thomas Edward Lawrence (16 August 1888 – 19 May 1935) better known as T.E. Lawrence or Lawrence of Arabia; for a brief time he also used the name T. E. Shaw. "Lawrence of Arabia" redirects here. For the motion picture, see Lawrence of Arabia (film). The people of England have been led in Mesopotamia into a trap from which it will be hard to escape with dignity and honor. They have been tricked into it by a steady withholding of information. The Baghdad communiques are belated, insincere, incomplete. Things have been far worse than we have been told, our administration more bloody and inefficient than the public knows. It is a disgrace to our imperial record, and may soon be too inflamed for any ordinary cure. We are today not far from a disaster. Whether they are fit for independence or not remains to be tried. Merit is no qualification for freedom. Bulgars, Afghans, and Tahitans have it. Freedom is enjoyed when you are so well armed, or so turbulent, or inhabit a country so thorny that the expense of your neighbour's occupying you is greater than the profit. Letter (1 April 1935); published in The Letters of T.E. Lawrence (1988), edited by Malcolm Brown. You wonder what I am doing? Well, so do I, in truth. Days seem to dawn, suns to shine, evenings to follow, and then I sleep. What I have done, what I am doing, what I am going to do, puzzle and bewilder me. Have you ever been a leaf and fallen from your tree in autumn and been really puzzled about it? That's the feeling. An opinion can be argued with; a conviction is best shot. The logical end of a war of creeds is the final destruction of one, and Salammbo is the classical text-book instance. ...but suppose we were an influence (as we might be), an idea, a thing invulnerable, intangible, without front or back, drifting about like a gas? Armies were like plants, immobile as a whole, firm-rooted, nourished through long stems to the head, we might be a vapor, blowing where we listed. Our kingdoms lay in each man's mind, as we wanted nothing material to live on, so perhaps we offered nothing material to the killing. It seemed a regular soldier might be helpless without a target. He would own the ground he sat on, and what he could poke his rifle at. Nine-tenths of tactics are certain, and taught in books: but the irrational tenth is like the kingfisher flashing across the pool, and that is the test of generals. It can only be ensured by instinct, sharpened by thought practicing the stroke so often that at the crisis it is as natural as a reflex. It seemed that rebellion must have an unassailable base, something guarded not merely from attack, but from the fear of it: such a base as we had in the Red Sea Parts, the desert, or in the minds of the men we converted to our creed. It must have a sophisticated alien enemy, in the form of a disciplined army of occupation too small to fulfill the doctrine of acreage: too few to adjust number to space, in order to dominate the whole area effectively from fortified posts. It must have a friendly population, not actively friendly, but sympathetic to the point of not betraying rebel movements to the enemy. Rebellions can be made by 2 per cent. active in a striking force, and 98 per cent. passively sympathetic. The few active rebels must have the qualities of speed and endurance, ubiquity and independence of arteries of supply. They must have the technical equipment to destroy or paralyze the enemy’s organized communications, for irregular war is fairly Willisen’s definition of strategy, “the study of communication” in its extreme degree, of attack where the enemy is not. Motto on the cover of the first edition. Dedicatory poem, to "S. A. ", as written in the 1922 "Oxford text"; variant : "When we came" for "When I came" in the 1926 edition, and others. I am afraid that I hope so. We pay for these things too much in honour and in innocent lives. I went up the Tigris with one hundred Devon Territorials, young, clean, delightful fellows, full of the power of happiness and of making women and children glad. By them one saw vividly how great it was to be their kin, and English. And we were casting them by thousands into the fire to the worst of deaths, not to win the war but that the corn and rice and oil of Mesopotamia might be ours. The only need was to defeat our enemies (Turkey among them), and this was at last done in the wisdom of Allenby with less than four hundred killed, by turning to our uses the hands of the oppressed in Turkey. I am proudest of my thirty fights in that I did not have any of our own blood shed. All our subject provinces to me were not worth one dead Englishman. The desert was held in a crazed communism by which Nature and the elements were for the free use of every known friendly person for his own purposes and no more. Some of the evil of my tale may have been inherent in our circumstances. For years we lived anyhow with one another in the naked desert, under the indifferent heaven. By day the hot sun fermented us; and we were dizzied by the beating wind. At night we were stained by dew, and shamed into pettiness by the innumerable silences of stars. We were a self-centred army without parade or gesture, devoted to freedom, the second of man's creeds, a purpose so ravenous that it devoured all our strength, a hope so transcendent that our earlier ambitions faded in its glare. The Arab was by nature continent; and the use of universal marriage had nearly abolished irregular courses in his tribes. The public women of the rare settlements we encountered in our months of wandering would have been nothing to our numbers, even had their raddled meat been palatable to a man of healthy parts. In horror of such sordid commerce our youths began indifferently to slake one another's few needs in their own clean bodies — a cold convenience that, by comparison, seemed sexless and even pure. Later, some began to justify this sterile process, and swore that friends quivering together in the yielding sand with intimate hot limbs in supreme embrace, found there hidden in the darkness a sensual co-efficient of the mental passion which was welding our souls and spirits in one flaming effort. Several, thirsting to punish appetites they could not wholly prevent, took a savage pride in degrading the body, and offered themself fiercely in any habit which promised physical pain or filth. The Beduin could not look for God within him: he was too sure that he was within God. He could not conceive anything which was or was not God, Who alone was great; yet there was a homeliness, an everyday-ness of this climatic Arab God, who was their eating and their fighting and their lusting, the commonest of their thoughts, their familiar resource and companion, in a way impossible to those whose God is so wistfully veiled from them by despair of their carnal unworthiness of Him and by the decorum of formal worship. Arabs felt no incongruity in bringing God into the weaknesses and appetites of their least creditable causes. He was the most familiar of their words; and indeed we lost much eloquence when making Him the shortest and ugliest of our monosyllables. This creed of the desert seemed inexpressible in words, and indeed in thought. It was easily felt as an influence, and those who went into the desert long enough to forget its open spaces and its emptiness were inevitably thrust upon God as the only refuge and rhythm of being. The Bedawi might be a nominal Sunni, or a nominal Wahabi, or anything else in the Semitic compass, and he would take it very lightly, a little in the manner of the watchmen at Zion's gate who drank beer and laughed in Zion because they were Zionists. Each individual nomad had his revealed religion, not oral or traditional or expressed, but instinctive in himself; and so we got all the Semitic creeds with (in character and essence) a stress on the emptiness of the world and the fullness of God; and according to the power and opportunity of the believer was the expression of them. The common base of all the Semitic creeds, winners or losers, was the ever present idea of world-worthlessness. Their profound reaction from matter led them to preach bareness, renunciation, poverty; and the atmosphere of this invention stifled the minds of the desert pitilessly. A first knowledge of their sense of the purity of rarefaction was given me in early years, when we had ridden far out over the rolling plains of North Syria to a ruin of the Roman period which the Arabs believed was made by a prince of the border as a desert-palace for his queen. The clay of its building was said to have been kneaded for greater richness, not with water, but with the precious essential oils of flowers. My guides, sniffing the air like dogs, led me from crumbling room to room, saying, 'This is jessamine, this violet, this rose'. But at last Dahoum drew me: 'Come and smell the very sweetest scent of all', and we went into the main lodging, to the gaping window sockets of its eastern face, and there drank with open mouths of the effortless, empty, eddyless wind of the desert, throbbing past. That slow breath had been born somewhere beyond the distant Euphrates and had dragged its way across many days and nights of dead grass, to its first obstacle, the man-made walls of our broken palace. About them it seemed to fret and linger, murmuring in baby-speech. 'This,' they told me, 'is the best: it has no taste.' My Arabs were turning their backs on perfumes and luxuries to choose the things in which mankind had had no share or part. Men have looked upon the desert as barren land, the free holding of whoever chose; but in fact each hill and valley in it had a man who was its acknowledged owner and would quickly assert the right of his family or clan to it, against aggression. Even the wells and trees had their masters, who allowed men to make firewood of the one and drink of the other freely, as much as was required for their need, but who would instantly check anyone trying to turn the property to account and to exploit it or its products among others for private benefit. The desert was held in a crazed communism by which Nature and the elements were for the free use of every known friendly person for his own purposes and no more. Logical outcomes were the reduction of this licence to privilege by the men of the desert, and their hardness to strangers unprovided with introduction or guarantee, since the common security lay in the common responsibility of kinsmen. Feisal asked me if I would wear Arab clothes like his own while in the camp. I should find it better for my own part, since it was a comfortable dress in which to live Arab-fashion as we must do. Besides, the tribesmen would then understand how to take me. The only wearers of khaki in their experience had been Turkish officers, before whom they took up an instinctive defence. If I wore Meccan clothes, they would behave to me as though I were really one of the leaders; and I might slip in and out of Feisal's tent without making a sensation which he had to explain away each time to strangers. I agreed at once, very gladly; for army uniform was abominable when camel-riding or when sitting about on the ground; and the Arab things, which I had learned to manage before the war, were cleaner and more decent in the desert. It was a natural phenomenon, this periodic rise at intervals of little more than a century, of ascetic creeds in Central Arabia. Always the votaries found their neighbours' beliefs cluttered with inessential things, which became impious in the hot imagination of their preachers. Again and again they had arisen, had taken possession, soul and body, of the tribes, and had dashed themselves to pieces on the urban Semites, merchants and concupiscent men of the world. About their comfortable possessions the new creeds ebbed and flowed like the tides or the changing seasons, each movement with the seeds of early death in its excess of Tightness. Doubtless they must recur so long as the causes — sun, moon, wind, acting in the emptiness of open spaces, weigh without check on the unhurried and uncumbered minds of the desert-dwellers. Rebels, especially successful rebels, were of necessity bad subjects and worse governors. Then rose up the horror which would make civilized man shun justice like a plague if he had not the needy to serve him as hangmen for wages. There is no other man I know who could have achieved what Lawrence did. As for taking undue credit for himself, my own personal experience with Lawrence is that he was utterly unconcerned whether any kudos was awarded him or not. Edmund Allenby, commander of the Egyptian Expeditionary Force to Lowell Thomas. I deem him one of the greatest beings alive in our time... We shall never see his like again. His name will live in history. It will live in the annals of war... It will live in the legends of Arabia. With hindsight, it is easy to see why a slim, self-effacing Englishman named Thomas Edward Lawrence became one of this century's most ballyhooed celebrities. Out of the appalling carnage of World War I — the mud-caked anonymity of the trenches, the hail of mechanized death that spewed from machine guns and fell from airplanes — there emerged a lone Romantic, framed heroically against the clean desert sands of Arabia. U.S. journalist Lowell Thomas was the first to recognize that Lawrence's wartime work — organizing disparate Arab tribes into armed revolt against the occupying Turks, allies of Germany — had pop-myth possibilities. 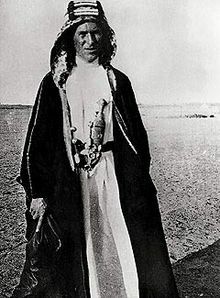 Thomas' publicity essentially created the figure known as Lawrence of Arabia, but others contributed to the saga. Robert Graves wrote a life of Lawrence that appeared in 1927, when its subject was only 39. Lawrence told his own story in Seven Pillars of Wisdom, which was published shortly after his death from a motorcycle accident in 1935. Since then, the Lawrence legend has thrived through a steady stream of biographies and memoirs. … He would be easier to understand if he were simply larger than life or what his detractors claimed: a self-aggrandizing charlatan. But he took no pleasure in his notoriety; he ran from it. The Selected Letters adds another interpretation to an already overwrought tale. The age demanded a hero, Lawrence qualified, and the 20th century then got what it deserved: a loner, an ascetic, a man who might have been happier as a medieval monk than as the public cynosure he became. No paragon in his own eyes, Lawrence nonetheless remains a haunting presence in the contemporary consciousness, an indissoluble mixture of weaknesses and strength. The Work is a masterpiece, one of the few very best of its kind in the world. At this moment, somewhere in London, hiding from feminine admirers, reporters, book publishers, autograph collections, and every species of hero worship, is a young man whose name will go down in history along with those of Sir Francis Drake, Sir Walter Raleigh, Lord Clive, "Chinese" Gordon, and other legendary heroes of Great Britain's glorious past. This page was last edited on 19 March 2019, at 23:43.